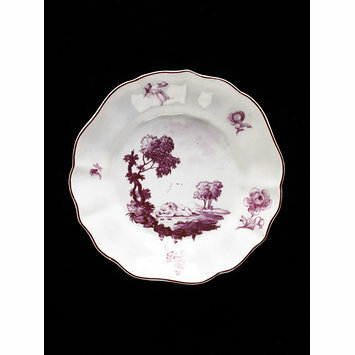 Saucer of porcelain, painted with enamels en camaïeuin crimson, with Aesop's fable of the Lion and the Mouse, and the wavy rim is painted with floral sprays. 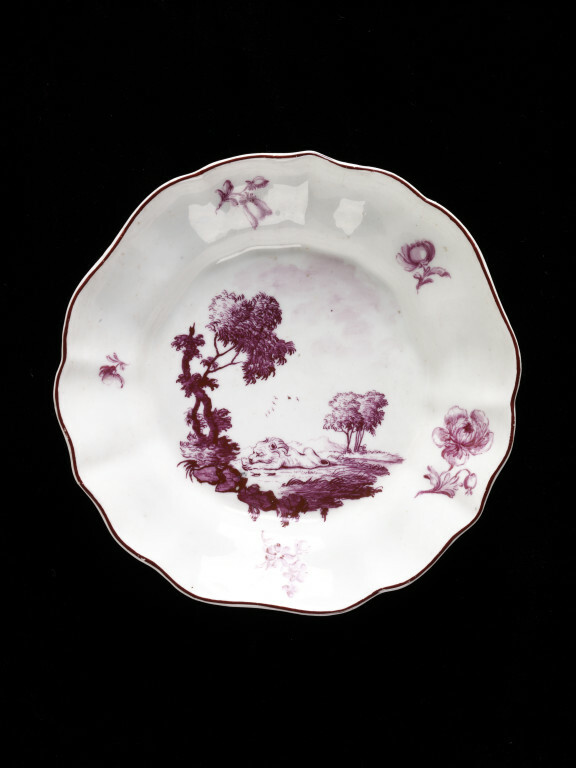 Saucer of porcelain, painted with enamels en camaïeuin crimson, with Aesop's fable of the Lion and the Mouse, made by Chelsea Porcelain factory, London, ca. 1755.